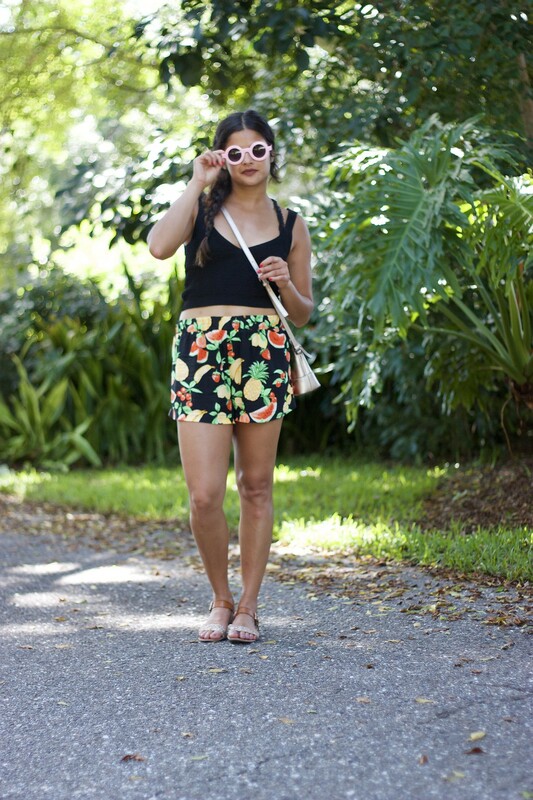 When Shorts Give You Lemons | Priya the Blog | life & style in Nashville & beyond! So 90% of the outfits I share on this blog are worn to the office, but hello from the other 10%! 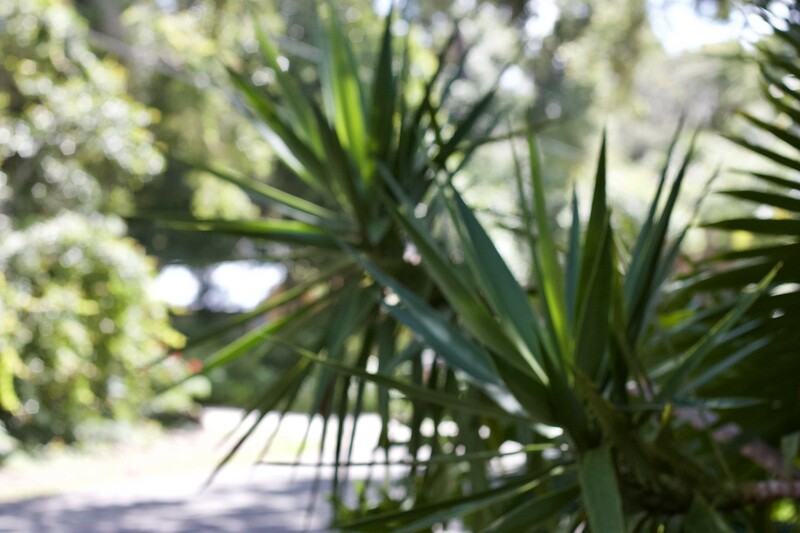 These pictures are from my birthday trip to Florida about a month ago. Both the top and shorts are real favorites from Summer 2018 so far. I bought the top at Zara in San Francisco back in March, and I don't know if you can tell, it's like a crop top made out of sweater material, (totally brilliant!) All the dreamy 70's vibes please! 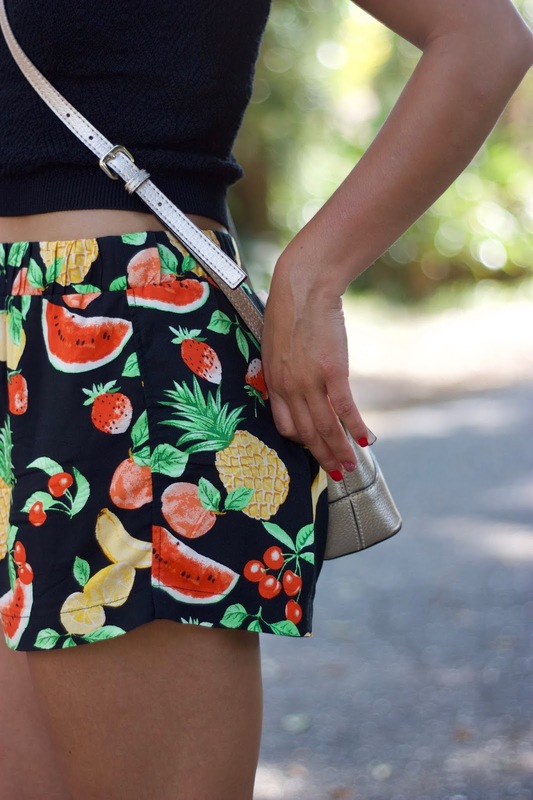 I picked up this fruit twinset from Forever 21 earlier this Summer (short still available online!!) and nothing much makes me happier. I understand it's supposed to be a bit much when worn as a set (that's like, the point) but I also like wearing the pieces separately. So fun, so comfy, and so fruity. Life has been non-STOP since my cousin's wedding the last weekend of June. And I'm not bragging. I'm just trying 2 chill! Between weddings, outdoor concerts, friends/family stopping in town, the 4th, friend dinners, and head down insanity at work, I'm pretty worn out; but I can't complain because it's all good fun stuff. Early Tuesday morning I'm headed on a last minute work trip to Portland, and then down the coast to meet up with family AND MEET MY NEPHEW in LA. I cannot wait! Art took these pictures on my ancient DSLR that is barely creaking along. Most of the pictures turned out like the one below, but not as *~artsy~*.